Bespectacled, business-like and Belgian, Jean-Louis Dupont does not look like a revolutionary. But then if revolutionaries looked too obvious, we would see them coming. There is little danger of Dupont sneaking up on anybody now, though. He is the man who took on European football’s bosses as an inexperienced lawyer and claimed a landmark victory to unleash consequences the game is still dealing with. Since then, his name has cropped up in a succession of precedent-setting cases, usually resulting in a bloody nose for one governing body or another. In 1990, barely out of university and dividing his time between law and a job at the European Commission (EC), Dupont met Jean-Marc Bosman,a mediocre midfielder desperate to move to a new club. Five years later, they would emerge from the European Court of Justice with a resounding victory over his former club, the Belgian FA and Uefa. Teams could no longer demand compensation for out-of-contract players, and the term “on a Bosman” was about to enter football’s phrase book. As well as the contract ruling, the EU’s most senior court threw out Uefa’s restriction on the number of non-domestic European players a club could use. Football would never be the same again. “I thought it would be a pretty small case when we started,” recalled Dupont. “But the authorities refused to take us seriously. That is partly why we added the restriction on foreign players to the case, although it was clearly a restraint of trade. Now he has a new client, a new case and a new target – European football’s roadmap for the future, Financial Fair Play (FFP). Battle commences in Brussels’ Court of First Instance on Thursday. “Maybe he’s looking for work,” was thedismissive response of Uefa president Michel Platini to news of Dupont’s challenge. Play the ball, not the man, is one of football’s basic principles. You might think the former France and Juve maestro would know this, particularly given his dislike for overly aggressive defending, but even Platini knows you have to get stuck in every now and then. This battle’s Bosman is Daniel Striani, an Italian agent who lives and works in Belgium. But this time Dupont is not attacking an archaic set of rules football was foolish to defend. He is gunning for FFP’s central plank, the break-even rule. Introduced in 2009, FFP is an extension of the licensing system that requires clubs to settle their bills in a timely fashion, be they to other clubs or tax authorities. Only teams that do this can play in Uefa’s lucrative competitions. As regulations go this is not very onerous, and leagues around Europe have copied it. Dupont, in fact, helped the Belgian FA draft its version, and the Premier League followed suit in the wake of Portsmouth’s implosion. But Uefa has spent much of the last decade worrying that the licence was an inadequate defence against what it perceived to be Bosman’s legacy: spiralling wages and rising debts. Something more was needed to stop the “arms race” for talent reducing clubs to bankruptcy, it argued, particularly with so much public money being written off via unpaid tax, generous rent deals or soft loans. That something is the break-even rule. Put simply, if a club earns £100m from its football operations (broadcasting, merchandise, player-trading, sponsorship and tickets) it can spend £100m on its team. Starting from this season, failure to comply could result in a ban from European competition. Naturally, there are caveats – definitions of what counts as football revenue, for example – and “acceptable deviations”, or limited losses, can be made good by a club’s benefactors. What will not be allowed, however, is the kind of “sugar-daddy” spending that lifted Chelsea, Manchester City and Paris St German from also-rans to champions. If Roman Abramovich was to arrive at a middling club now, he would only be able to cover £37.8m of losses for the last two seasons, falling to £12.6m a season in 2014-15, and then £8.4m until 2017-18. 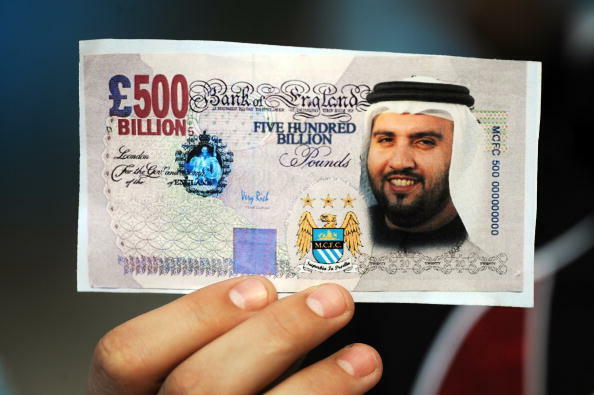 To put this into context, Abramovich has pumped about £1bn into Chelsea since 2003, with Sheikh Mansour spending a similar amount in just four years at Manchester City. But faced with results from 2010 that showed 56% of Europe’s 734 top-division clubs made net losses, totalling £1.4bn (up 760% on 2006), Uefa wants “financial stability”. Maybe, but that does not make it legal. Professional sport does not live in a vacuum: it is an economic activity and therefore subject to EU competition law.